Christmas Hiatus is finally over. Cast and crew started filming again today. 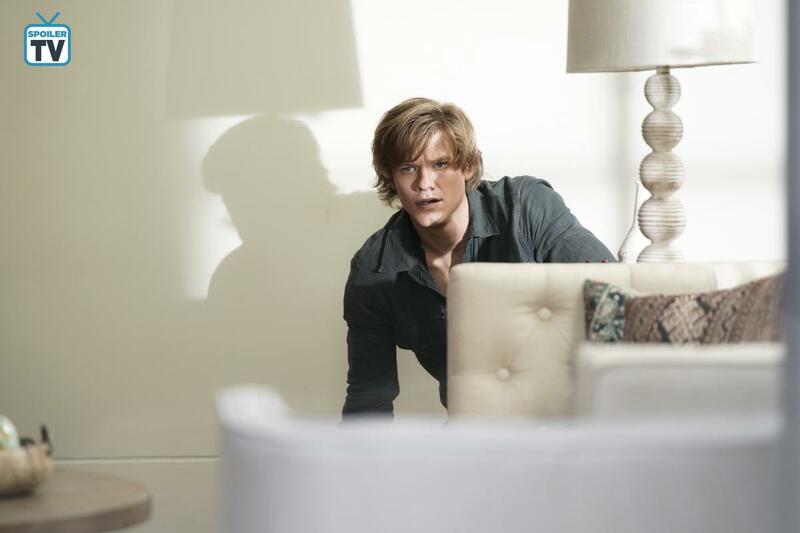 We’ve already glimpsed a familiar face and we’ll get to enjoy a new and intense episode tonight! Filming for Episode 3×15 (K9 + Smugglers + New Recruit) had started on December 10. They had a real dog (named Seven) on set, alongside a stuffed Stand-In lovingly carried around by the crew. 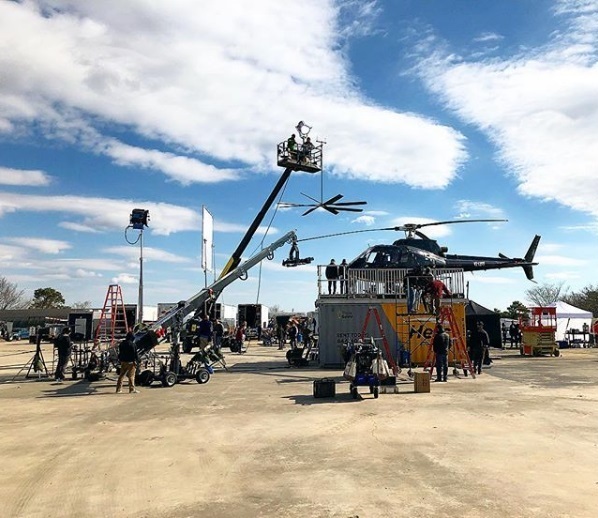 The 2nd Unit worked on Sunday (December 16) as well; probably to make sure they could finish the episode and leave for Christmas Hiatus on time. They filmed a fire stunt with dog Seven and had a car crashing through a garage door on the next day. 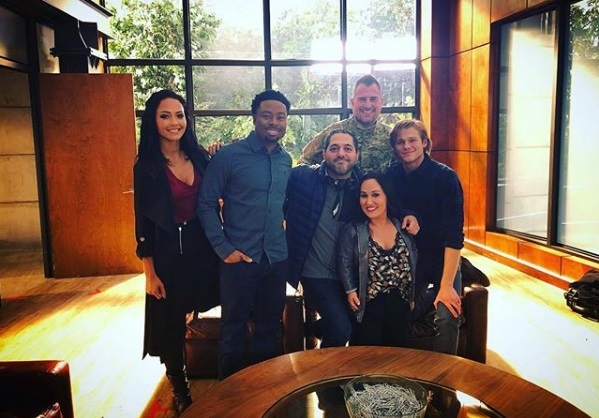 According to Executive Producer Peter Lenkov, he had planned to visit Atlanta on December 17, but we never saw any proof that he had actually been there. 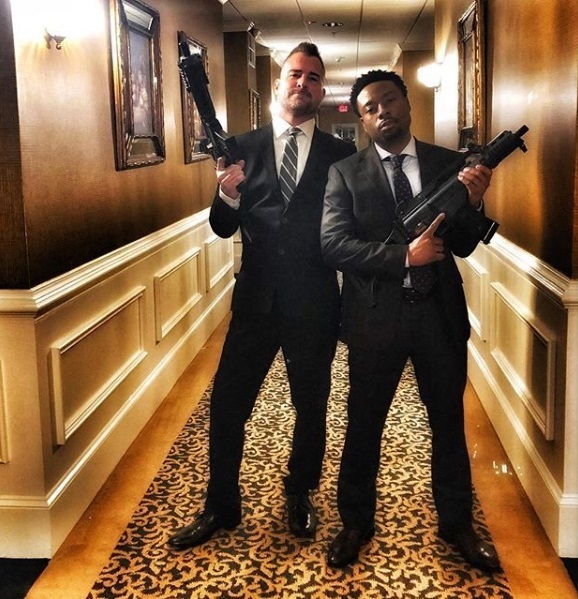 Justin Hires was already back in LA, but kept uploading BtS photos; e.g of him and George Eads while filming Episode 3×14 – the same episode that director Avi Youabian was editing on that day at the Paramount Studios. On December 19, they had a little Wrap Party with Special Guest Grinch (aka Co-Executive Producer Jeff Downer). 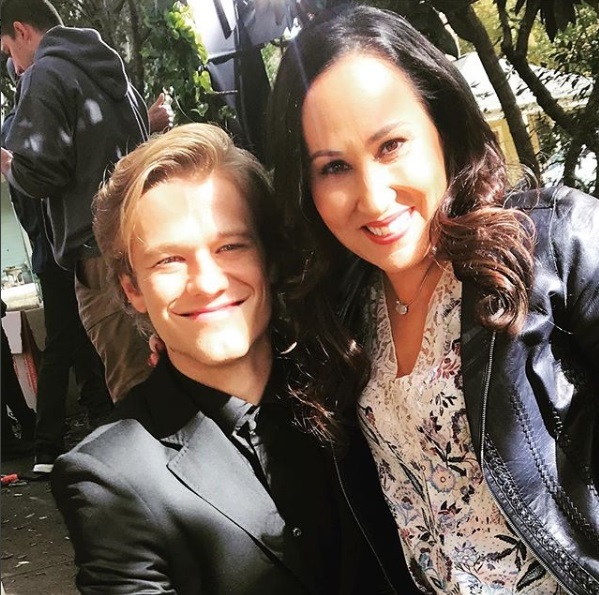 Of the main cast, it looks like it was only Lucas Till and Tristin Mays attending. Lucas was still in costume; posing for photos with Mike Martinez. 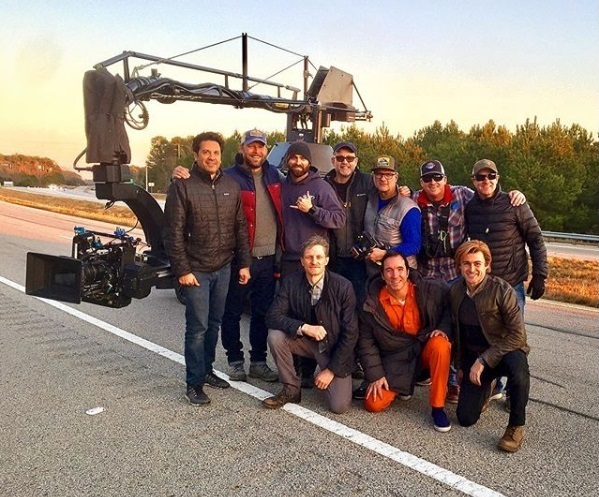 After wrapping up, cast and crew enjoyed the filming hiatus; spending time with family or enjoying a short holiday. 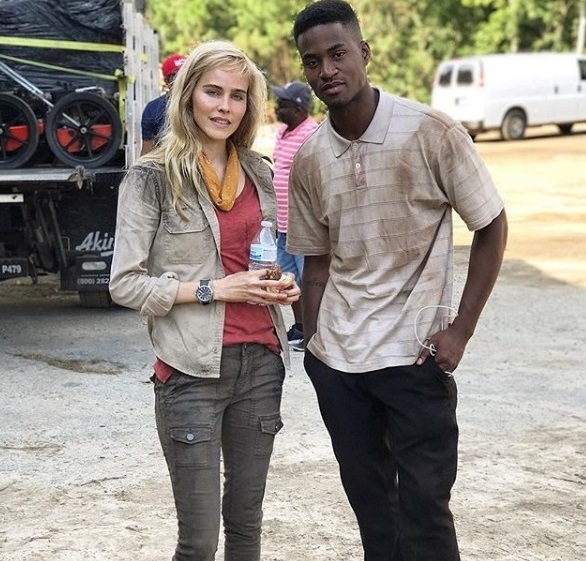 Justin Hires postes some new BtS photos, as did Meredith Eaton via Instagram Short Stories. Otherwise, it was pretty quiet during the hiatus. Technical Consultant Rhett Allain wrote several more science notes blog posts about the MacHacks used in Season 1: One for Episode 1×07 (Can Opener), one for Episode 1×08 (Corkscrew) and one for Episode 1×09 (Chisel); adding videos with it as well. Mac and Jack hit the road for a weekend of relaxation in Las Vegas, but their mini-vacation is cut short when someone from their past abducts them and locks them in a concrete room. Also, Matty tasks Riley, Bozer and Leanna with stealing a diamond encoded with terrorist intel from a princess (Shani Atias) in Milan. On December 18. CBS released 11 Official Stills in total. They all feature the A-storyline with Mac and Jack. On December 29, the preview was uploaded on YouTube. It’s quite dark and feels like an hommage to James Wan’s horror thriller “SAW”, so it sparked a lot of discussions among fans. Yesterday, they uploaded a different preview onto Instagram, that is a bit less dark but not less menacing or threatening, confirming speculations by fans that the kidnapping will happen via car crash. 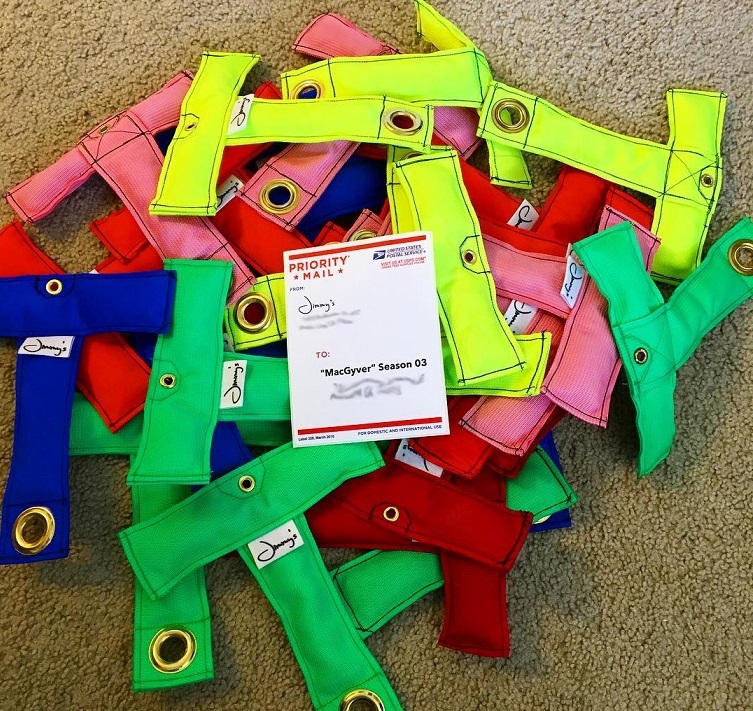 Back in December, Erik Kerr had posted a BtS photo of the prop rockets. 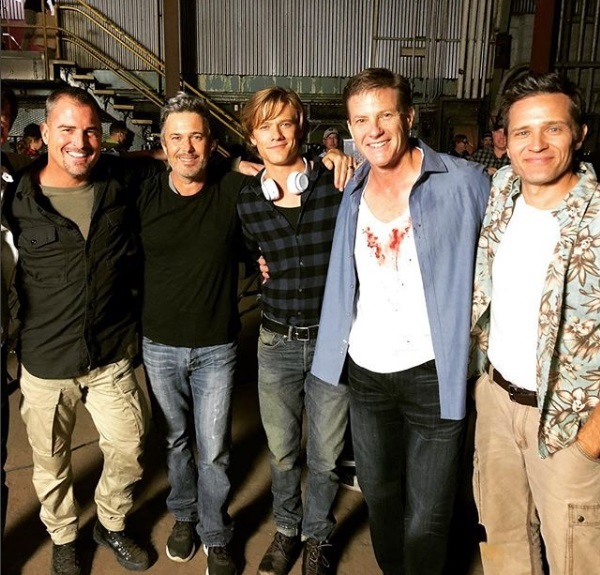 Yesterday, director Carlos Bernard re-posted the BtS photo of George Eads and Lucas Till with Doug Savant and Seamus Patrick Dever. 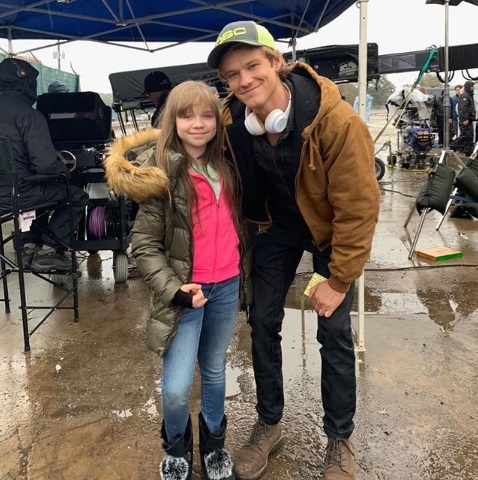 Otherwise, we almost have no BtS photos of the A-storyline with Mac and Jack. 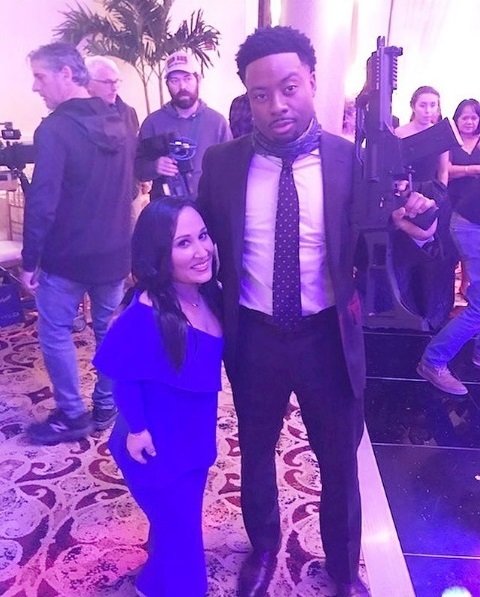 Justin Hires provided some more BtS photos of the B-storyline that involves him, guest-star Shani Atias and a lot of other pretty actresses in what looks like a modelling setting. As Jonathan Horne revealed, he will play a designer named Marco. Directed by Ron Underwood. Guest appearance by Bridget Regan. For the synopsis and the Official Stills, you can check up here. Directed by Brad Turner. Guest appearances by Vanessa Garcia and Justin Welborn plus Brendan Hines as Matty’s Ex-Husband Ethan Reigns. See here for the Press Release and the Official Stills. Directed by Avi Youabian. Guest appearance by Roberto Sanchez. Possibly George Ead’s last episode this season. 3×16: tba (February 22). Filming for this episode started today. Apparently, CBS has already prepared for promo without George Eads when they introduced a new social media header this week. 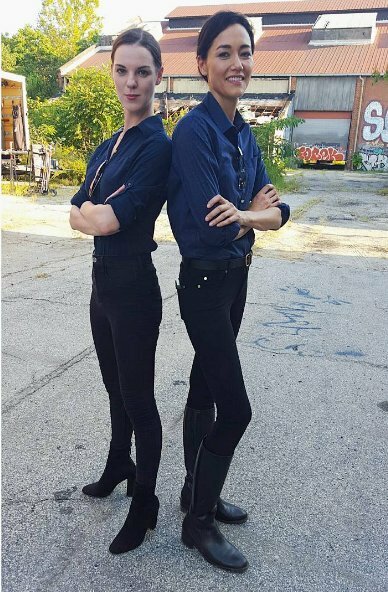 The photo was taken during the promo shoot for the official promo posters before the premiere of Season 1, back in August 2016. Interestingly, the original photo showed a bomb having been strapped onto MacGyver’s chest. The bomb is now hidden after digitally adding more ropes. Filming for this episode started today. 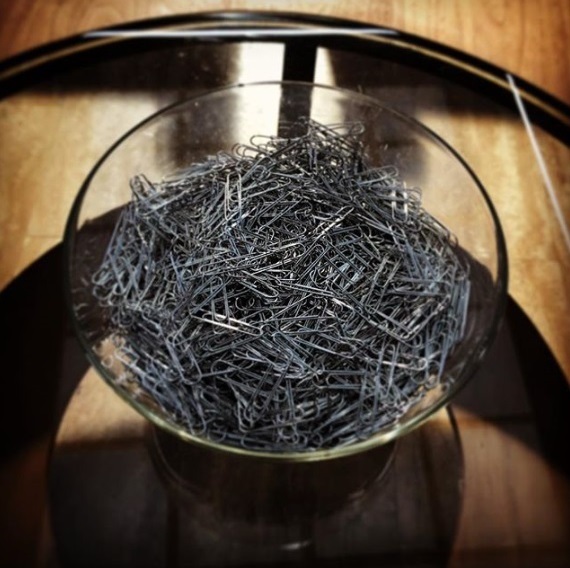 Madeline Grayson already uploaded an Instagram Live Story early in the morning out of the costume-design-slash-prop-room, working on what looks like syringes. 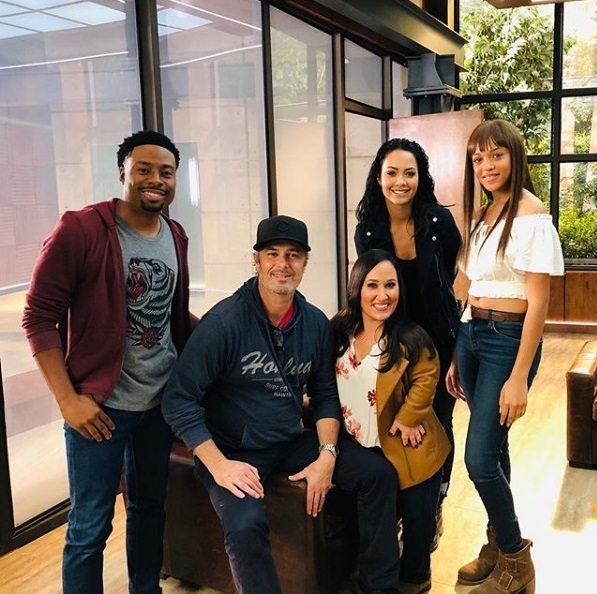 As Tristin Mays revealed, Billy Baldwin (as Riley’s dad) is back on set at this moment, presumably filming in the appartement that is used as Riley’s living place. 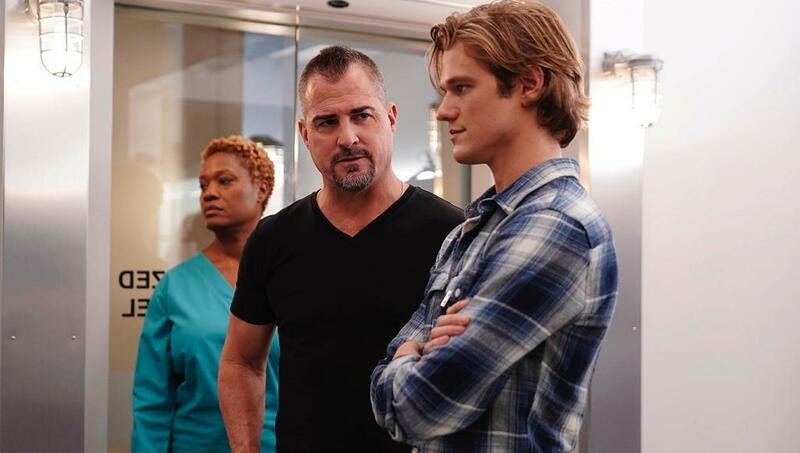 News about George Eads leaving the show hit on November 26. The Hollywood Reporter was the first to announce it; with Deadline revealing that his character won’t be killed off for the possibility for him to return as a guest star. So far, we don’t have any further information how Jack Dalton will be written out. 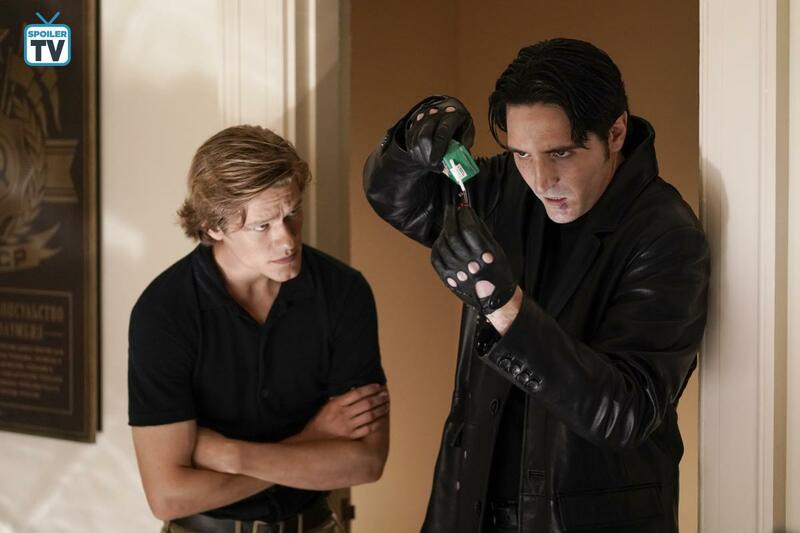 After the preview for Episode 3×11 had been released, fans worried that Mac would have to kill Jack in order to save himself. But don’t be afraid: According to the Press Release revealed yesterday, Jack is also part of the B-storyline in Episode 3×13. 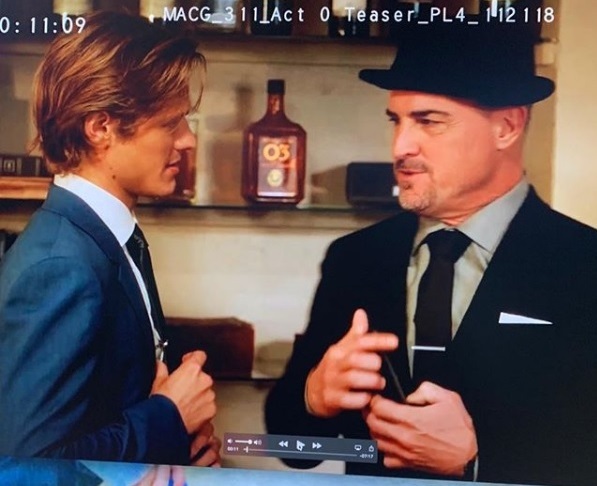 George Eads was last seen on set for Episode 3×14, so this will probably be his last appearence. 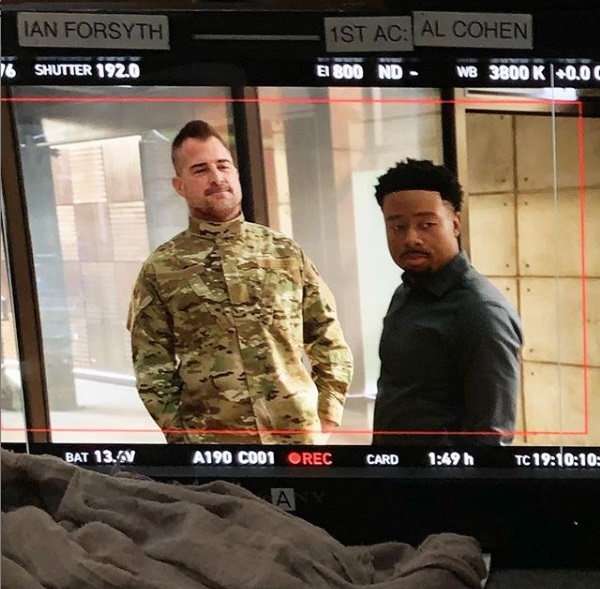 As it is, Justin Hires had posted a BtS photo on December 18, showing Jack and Bozer with Jack wearing a Military camo jacket. It’s possible that Jack will be called back into the Armed Forces – if it’s voluntarily or not remains to be seen. Since IMDb still isn’t up to date, it’s difficult to find out about guest stars in episodes that didn’t have a Press Release yet. Before the Holiday Hiatus, Central Casting Georgia had posted Casting Calls for Photo Doubles and Stand-Ins (e.g. for Ashlee Heath and for a bald, African American man). They’ve also been looking for Extras; e.g. for a Phoenix Guard, Soldiers, an African American Military Man and Caucasian Agents. On December 21, The Blast exclusively revealed that CBS is being sued by 2 parties because of the Reboot, claiming that they’re entitled to payments based on a deal dating from the original series. If you’re interested, you can read the full complaint by one suing party on here. Briana Lamb – Stand-In in Season 1 (e.g. for Sandrine Holt, Amy Acker and others) – let herself being interviewed for a podcast episode, released on December 31st. 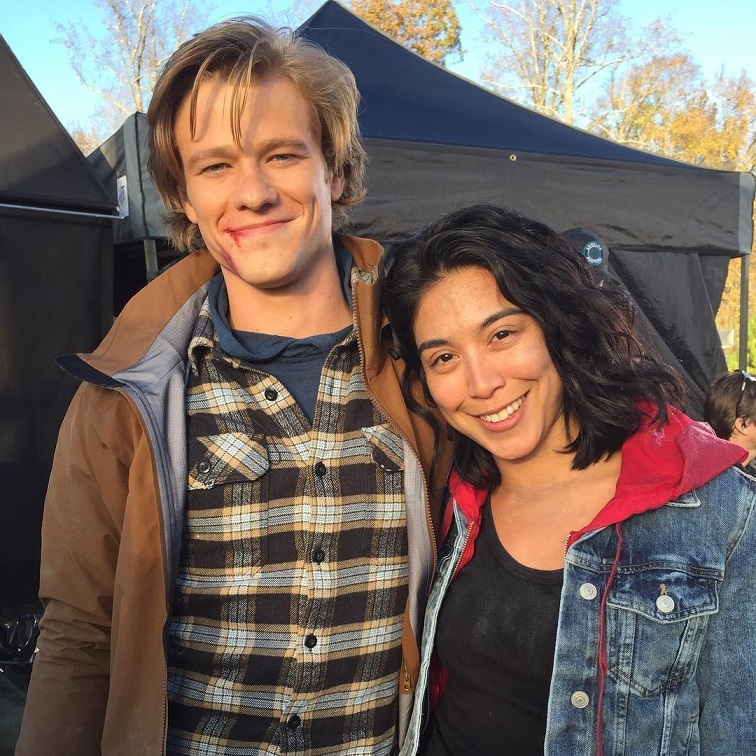 At 1h 12min, she talks a few minutes about the experience of working on “MacGyver” and Lucas Till’s Pokemon obsession. She also talks about work as a Stand-In in general (she’s worked in over 50 productions) and the long gruelling hours the actors have to endure; most of them being overworked and missing their family. Mid-December, George Satsidis had added an excerpt of his recent interview with Lucas Till. 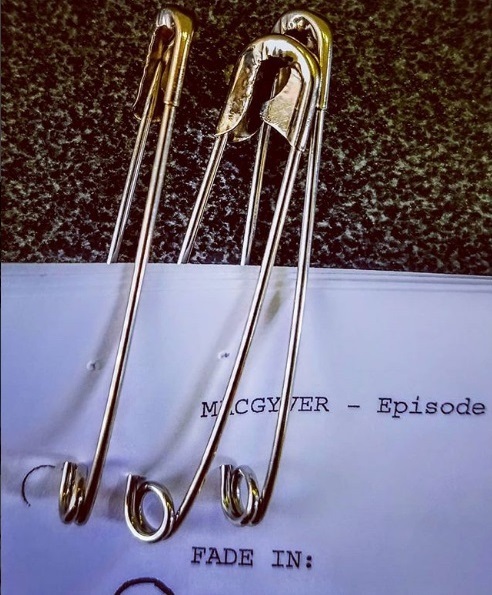 Lucas talked about MacGyver being a dream role and how he filmed the “drone stunt” seen in Episode 3×10. Yesterday, GlobalNews Canada also uploaded a written interview, probably taken on that same press day. 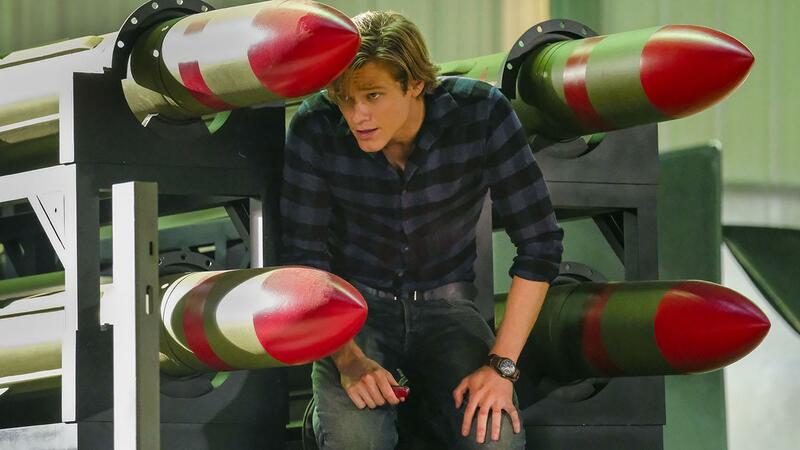 Lucas describes the Wine Bottle Rockets (in Episode 1×08: Corkscrew) as one of the most outlandish creation that MacGyver has made so far and how they only have a few minutes to prepare for the fight scenes. Reminder: The Reboot was eligible for the “Best of TV Awards” held by Canada Graphs. Voting for Round 1 has closed and results will be announced soon. Voting for Round 2 will start January 7. I don’t know if all categories get another round or not, but I’m sure that at least some of the cast and crew made it for another round. No episode tonight. Cast and Crew are still filming; getting some more work done before the well-deserved Christmas Hiatus. The show will be back on January 4. Sadly, they didn’t release any Sneak Peeks for Episode 3×09 until 2 hours before the episode aired and no Sneak Peeks for Episode 3×10 at all – contrary to Blue Bloods (2 Sneak Peeks), Hawaii Five-0 (3 Sneak Peeks) or S.W.A.T. (7 Sneak Peeks) last week. 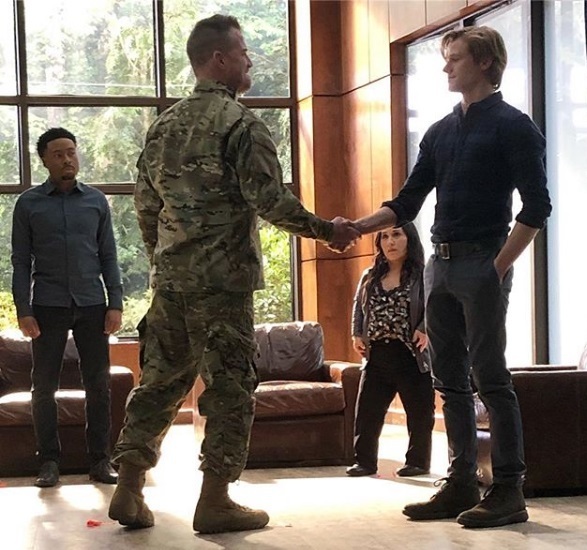 Considering that this was the midseason finale episode and one of the last episodes with George Eads (who is a fan favorite and the second lead actor), you’d think CBS would have promoted the episodes with Sneak Peeks as well. I think it would be worth to show the Jack Dalton fans that George is still on and to ensure they will keep watching once he’s gone; waiting to see if he back in another episode as a guest actor. 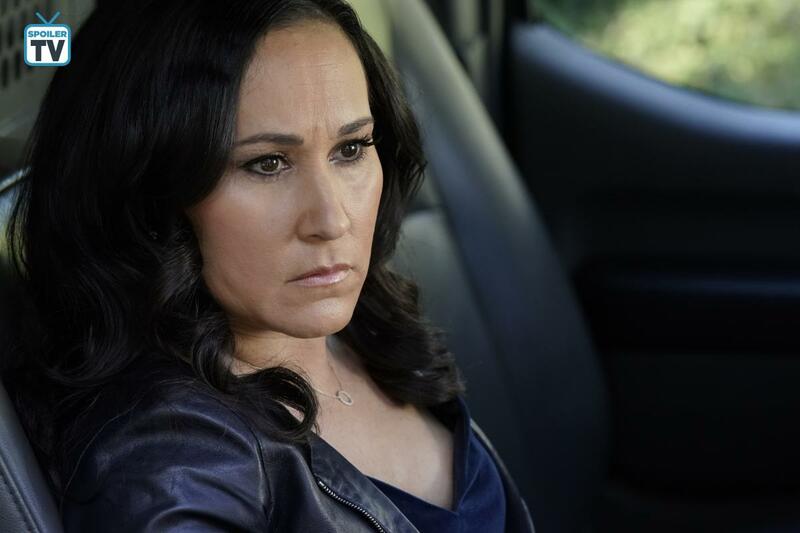 For Episode 3×10, Matt Carter released a two-part interview with Meredith Eaton before and after the episode aired (see Part 1 here and Part 2 here). There was an additional interview snippet via TV Insider; warning us that we’ll need tissues. Meredith also had taken over the official CBS Instagram Account; answering fan questions on Live Stories sent in during the week. Though not adding any Sneak Peeks, CBS at least posted a few new BtS photos. 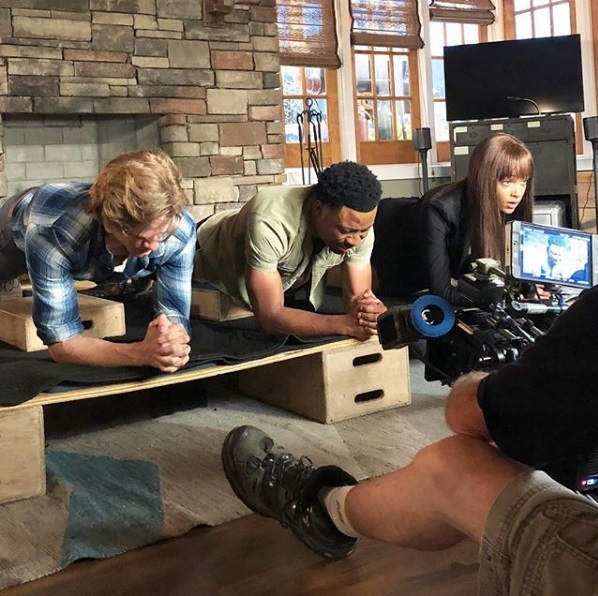 One shows 3 different MacGyvers (Lucas, his Stand-In Matt and thet Stunt Double), another one Reign Edwards while preparing for a fighting scene. 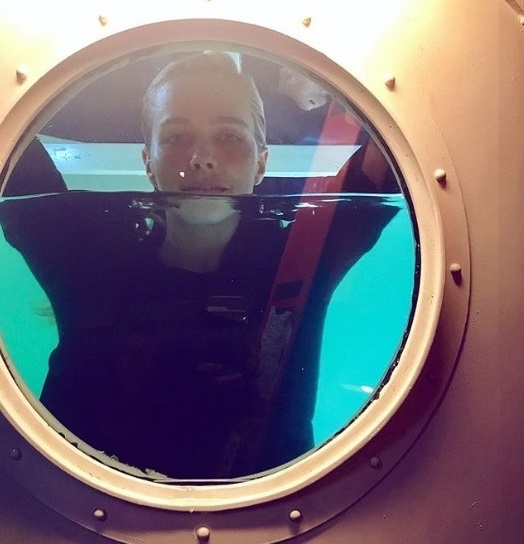 Interestingly, both Meredith in her interview and CBS in the BtS photos omitted anything related to George Eads; as if he’s already a persona non grata. As always, Technical Advisor Rhett Allain uploaded blog posts about the MacHacks in these episodes – e.g. 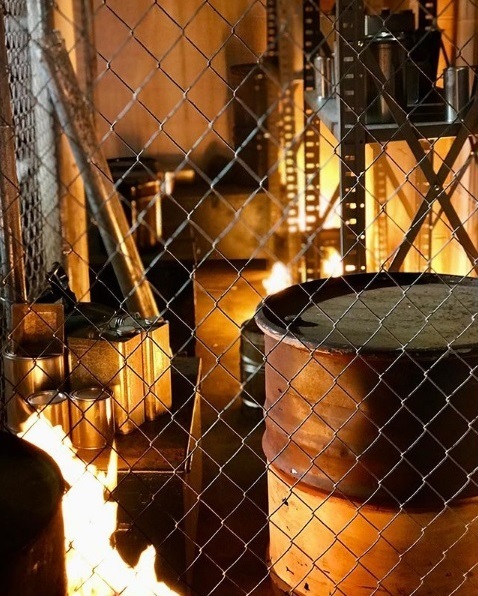 about a Glycerol Lock Hack or about the Air Wedge in Episode 3×09 or about the Cricket Ball Flash Bang or the Water Cooler Bomb in Episode 3×10, providing some videos as well. 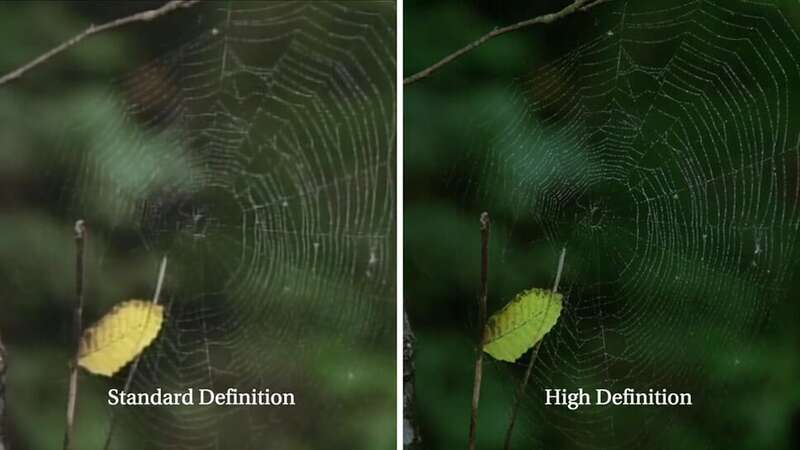 Let’s take a look at the recent ratings. 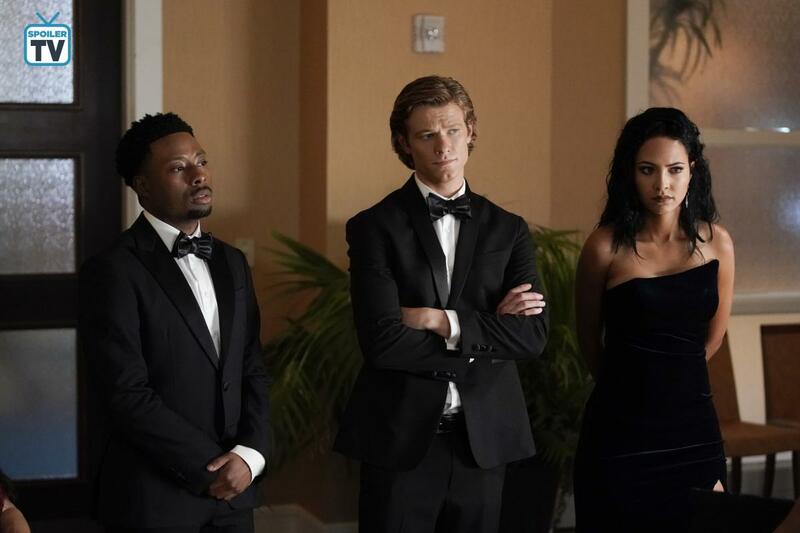 To recap: Episode 3×08 (Revenge + Catacombs + Le Fantome) on November 16 got 6.203 million live-viewers with a demo of 0.7, beating Last Man Standing in audience numbers. Including the +7 Days ratings, it added 1.60 million viewers (+26%), reaching a total of 7.805 million viewers and a demo of 1.05 (+52%). 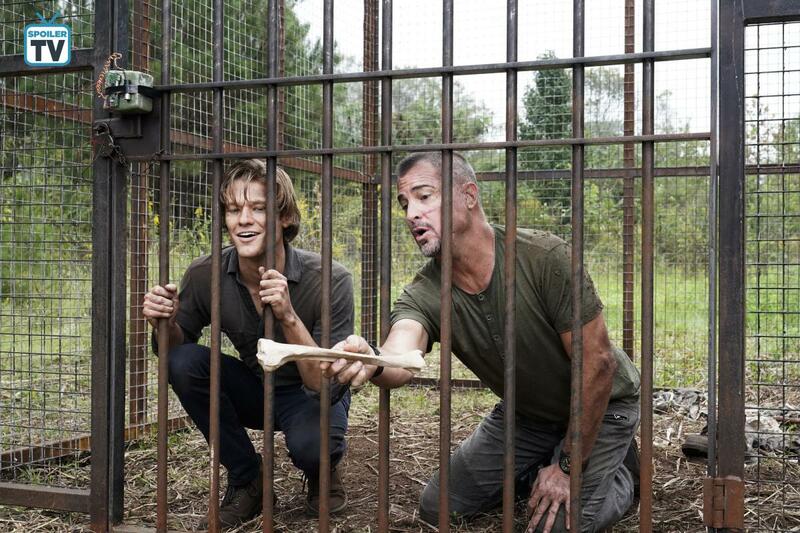 Episode 3×09 (Specimen 234 + PAPR + Outbreak) had aired on November 30. It got 6.276 million live-viewers and a demo of 0.7. It added 1.49 million viewers (+24%) in the +7 Days ratings, reaching a total of 7.772 million viewers and a demo of 1.07 (+47%). Episode 3×10 (Matty + Ethan + Fidelity) on December 7 had an audience of 6.359 million live-viewers with a demo of 0.7, again beating Last Man Standing in audience numbers. So far, it added 1.32 million viewers (+21%) in the +3 Days ratings, reaching a total of 7.687 million viewers and a demo of 1.01 (+41%). We’ve already reached Christmas Hiatus for most CBS shows. 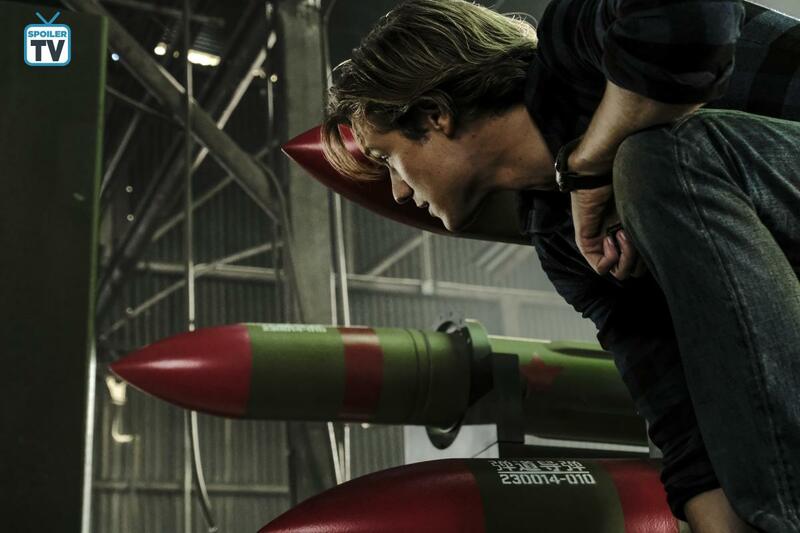 At the moment, the MacGyver Reboot has an average of 6.089 millions live-viewers with a demo-rating of 0.71. For Season 2, Episodes 12, 13 and 14 (all airing in January) have been the episodes with the highest audience numbers. 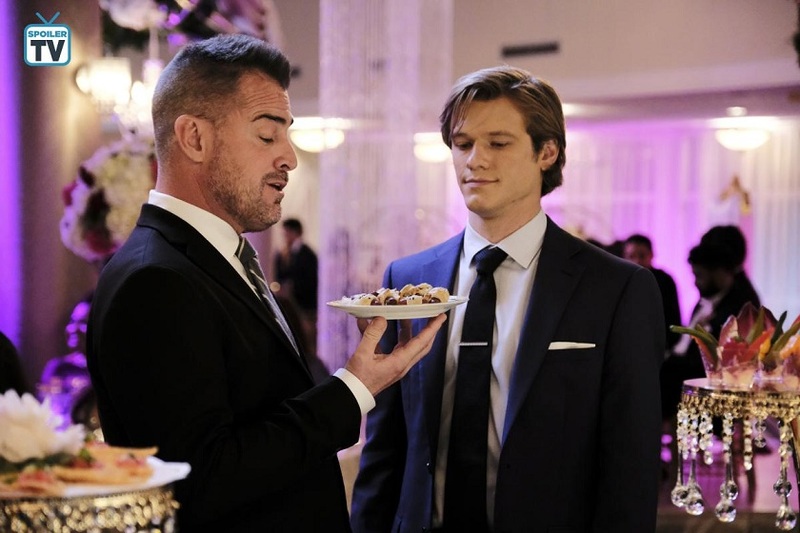 We have yet to see if George Eads exiting the show will affect the ratings; meaning they’ll drop instead of rising further before the usual drop when we’re nearing Summer temperatures. It’s a possibility, but shouldn’t hinder the Reboot to get a 4th season to reach syndication. Compared to all CBS scripted shows this Fall TV Season, the Reboot is still at rank 19 (of 20) in demo and at rank 14 (of 20) in audience. Let’s take a look at some other CBS crime shows in the same ratings range, now that all have aired 10 episodes so far since their Fall Premiere: Showrunner Peter Lenkov’s rookie show Magnum PI is at 5.887 million live-viewers per episode with a 0.86 demo-rating on average. SEAL Team is at 5.516 millions / 0.85 in demo on average and SWAT at 5.216 / 0.74. Mac and Jack hit the road for a weekend of relaxation in Las Vegas, but their mini-vacation is cut short when someone from their past abducts them and locks them in a concrete room. Also, Matty tasks Riley, Bozer and Leanna with stealing a diamond encoded with terrorist intel from a princess in Milan. The episode has a guest appearance by Shani Atias as princess Zahra. 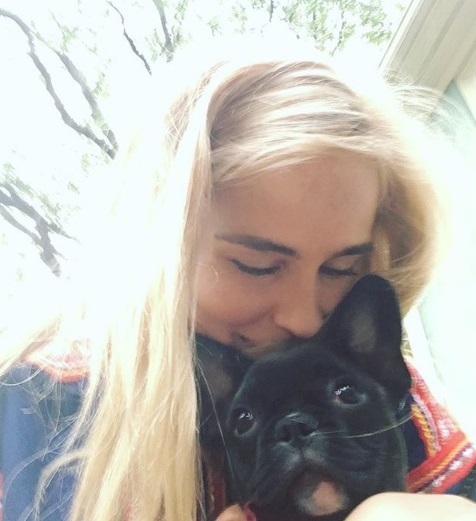 She continues to post BtS photos every now and then. 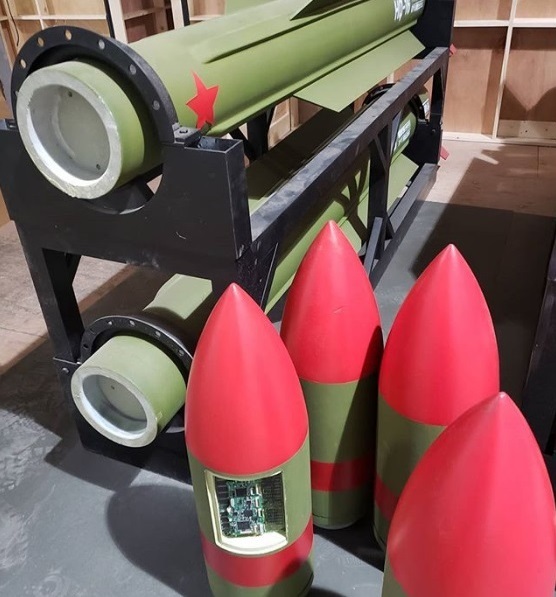 Erik Kerr posted a BtS photo of the prop rockets. Besides the editing photo by Lenkov a while ago, we don’t have much visual material of the A storyline with Mac and Jack yet. Directed by Avi Youabian. Guest appearance by Roberto Sanchez. Sadly, it looks like the two initially planned reruns over Christmas hiatus have been scrapped. At least the fans don’t have to wait too long for the show to come back. On November 28, production started on Episode 3×14. For several days, they filmed at a wedding location with the team all dressed up. 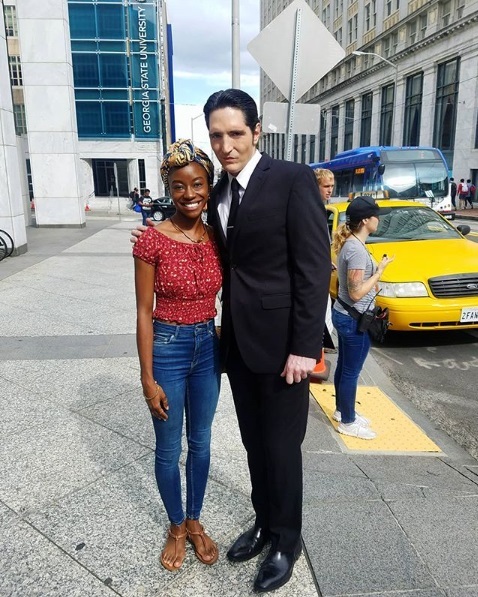 Roberto Sanchez posted several photos from set; mostly while wearing a tux. He also revealed the episode title: “Father + Bride + Betrayal”. 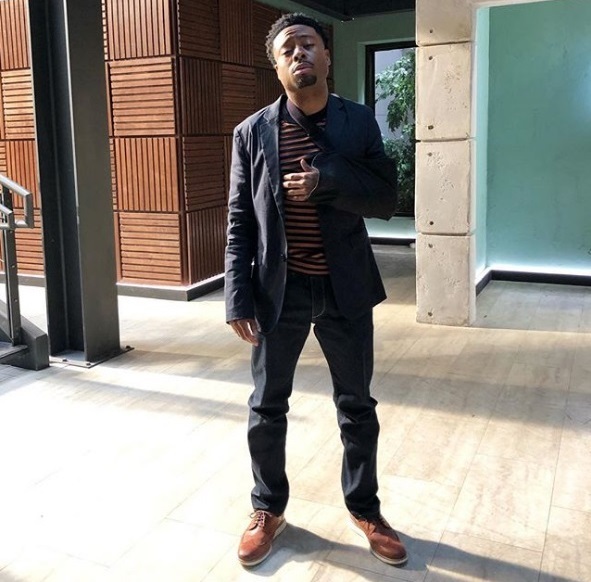 Justin Hires posted several videos (e.g. 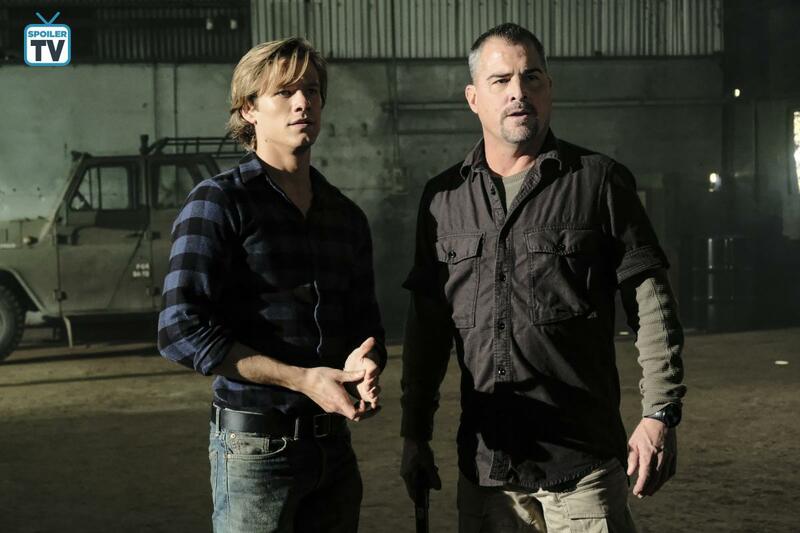 with George Eads), but also some BtS photos (e.g. with Meredith Eaton or with George Eads, pitching a “Men in Black” Reboot). Director Avi Youabian posted a few Live Stories on Instagram. It seems that the entire episode is set on this location and the woods surrounding it. Cast and Crew still mostly post temporary videos without revealing too much, though some crew members (e.g. Easton Harper) were nice enough to post a photo every now and then. While the cast was still busy filming for 3×14, Gabriel Beristain was prepping for directing Episode 3×15. Filming for the episode titled “K9 + Smugglers + New Recruit” started on Monday. They had a real dog on set, but the crew mostly posted about the stuffed Stand-In; carrying it around and cradling it. Seems it’s their favorite Stand-In to work with. 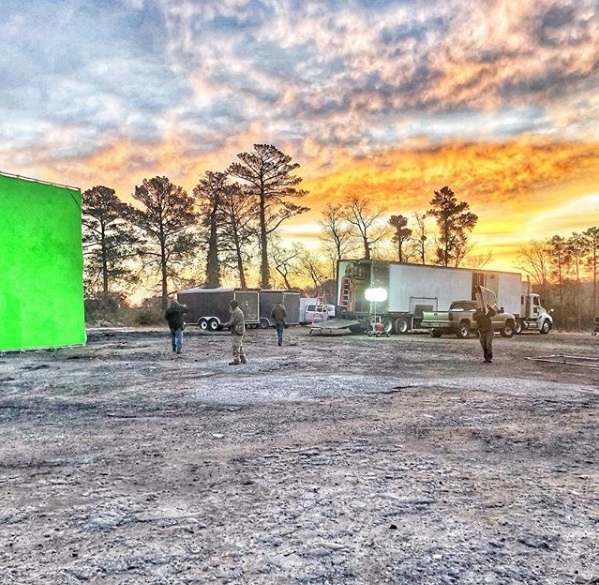 On Wednesday, they started production early; setting up two big green screens and lighting some fire while filming between shipping containers and in the woods. Today, they escaped the rain; filming inside a mansion, including dog Seven. 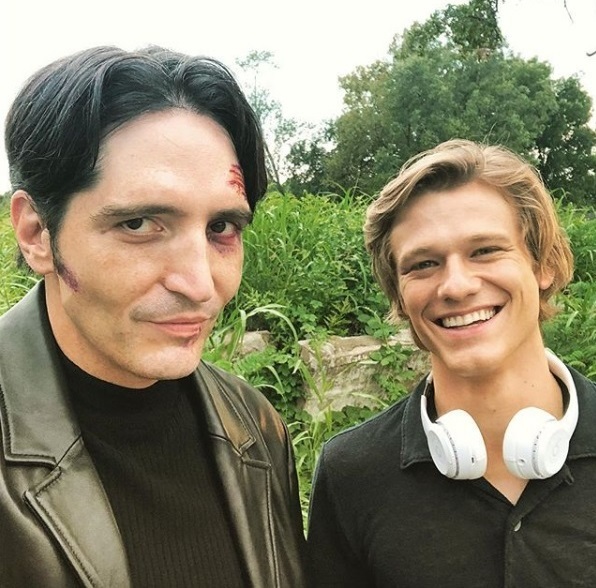 Lucas Till posted a photo of him and his brother Nick; recreating a similar photo from filming X-Men: First Class. 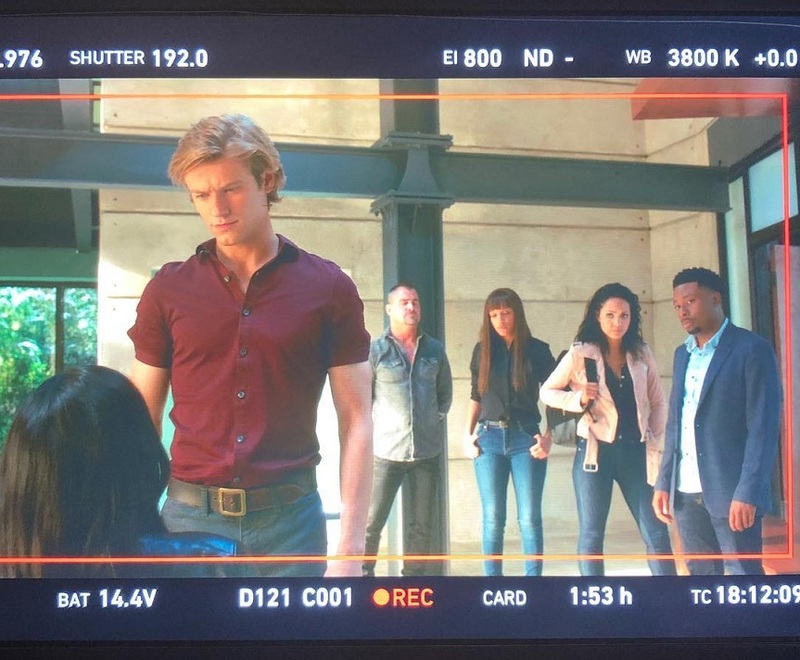 Justin Hires uploaded another new BtS photo today, making all the fans happy that have been waiting for MacGyver’s brown leather jacket to make a comeback. 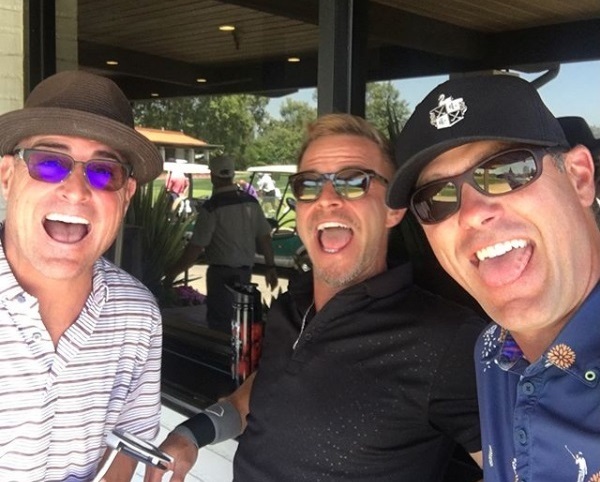 News about George Eads leaving the show hit on November 26. The Hollywood Reporter was the first to announce Eads’ exit; followed by various articles by other TV news outlets like TV Line or SpoilerTV. The news flooded Twitter and other social media for days. If Episode 3×14 is indeed George’s last episode, you will have to tune in on February 1st to catch it. As Peter Lenkov revealed in an Instagram Live Story, he will visit the set on Monday. It’s not clear if this is one of the regular visits (he was just in Hawaii for Magnum and Hawaii Five-0 this week) or if it’s a special occasion regarding George’s exit. 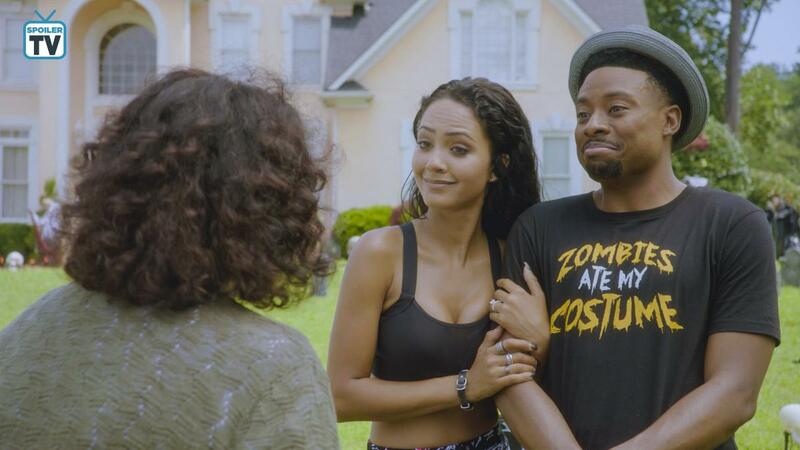 Reign Edwards has been back on set this week as Bozer’s girlfriend Leanna. Since IMDb isn’t up to date, it’s difficult to find out about guest stars. Anthony Dilio revealed he’s got a part in the show, but we don’t know yet in what episode or in what capacity. Central Casting Georgia had posted Casting Calls for Photo Doubles and Stand-Ins (e.g. for Presilah Nunez, Levy Tran or Ryan Czerwonko, for a female Stand-In with red hair and for a kid actor). 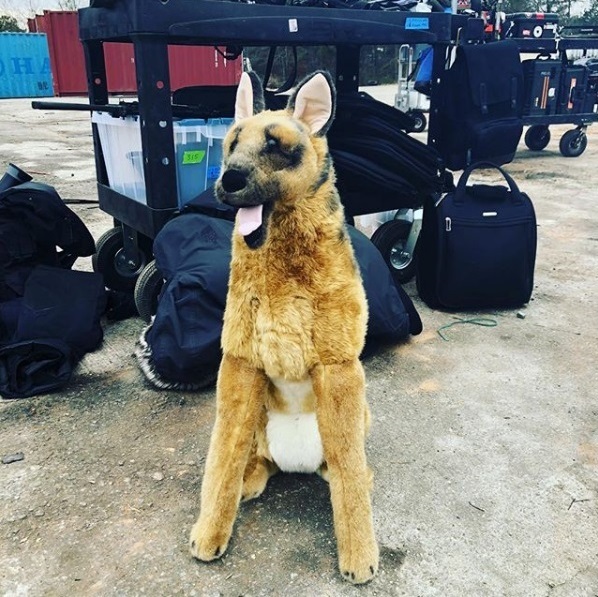 Fun Fact: Even dogs have a Stand-In on set – only of the stuffed, plushy kind. They’ve also been looking for Extras; e.g. for Masked Men, for Wedding Guests, a Photographer, Servers, a group of Smugglers and for Techs and Agents. 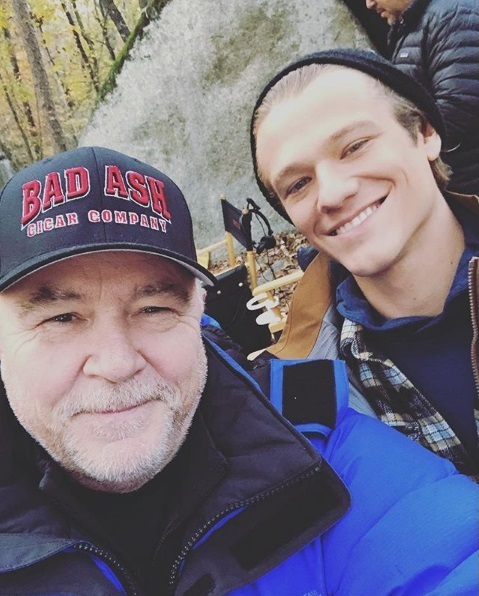 George Satsidis added an excerpt of his recent interview with Lucas Till. Lucas talks about MacGyver being a dream role and how he filmed the “drone stunt” (we’ve just seen last Friday in Episode 3×10). In the first round, you can still vote as many times as you want and choose as many boxes to tick as you want. If the show is not available to choose from the list, you can add it into the “other” box (they will be added at the bottom of the list as soon as several votes have come in – usually takes a day or two). 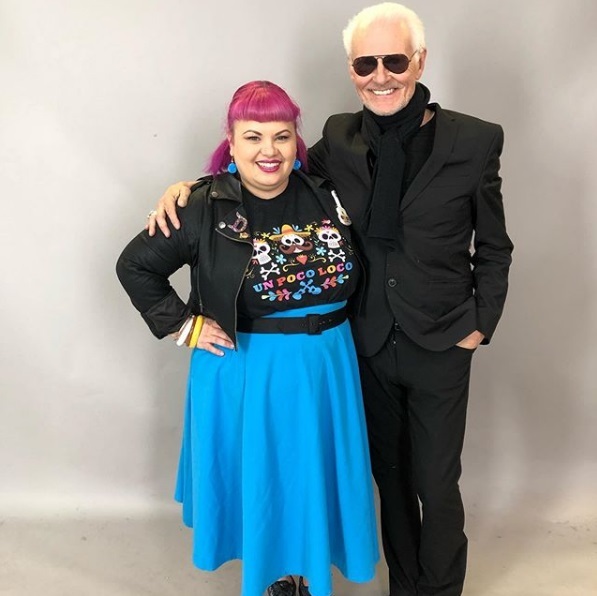 Every Episode aired in 2018 is eligible, that means every guest actor/actress or recurring actor/actress starting with Episode 2×12; for example Kate Bond (Jill) and David Dastmalchian (Murdoc). 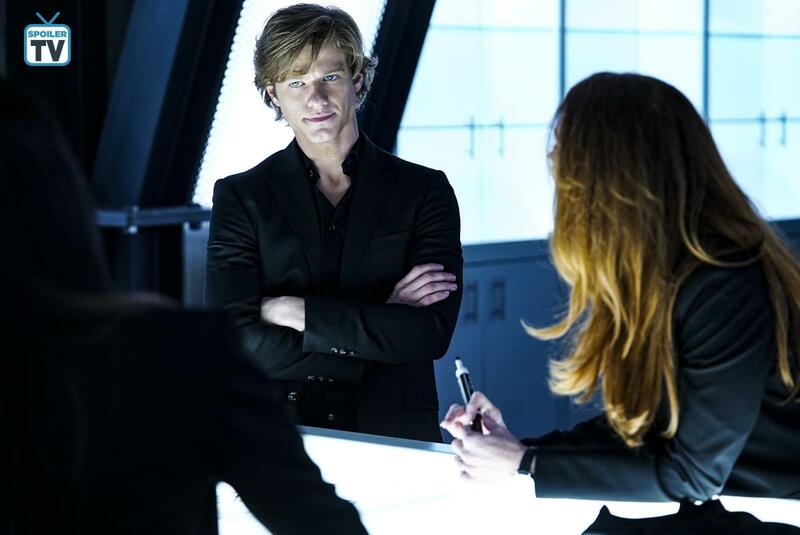 Murdoc is back in tonight’s Episode 3×06. 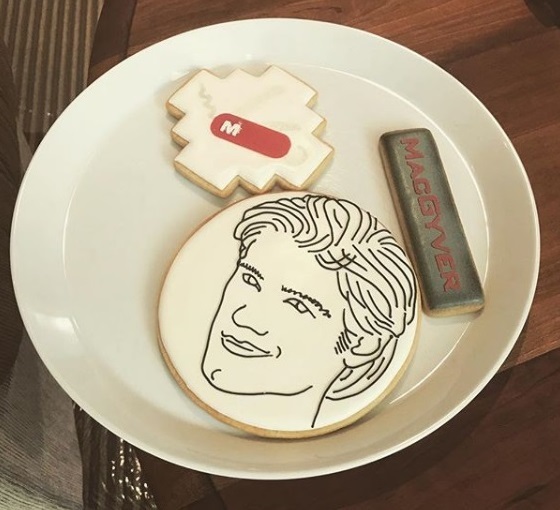 We also got a glimpse at Episode 3×07 and apparently, there were MacGyver cookies on set! 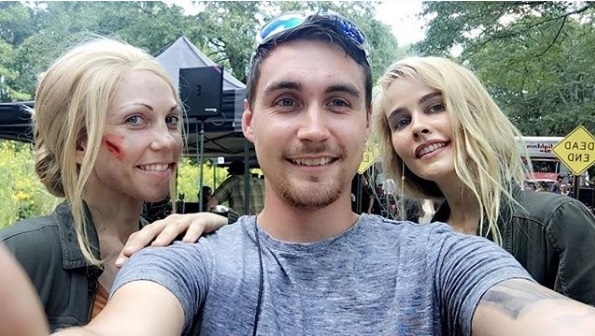 Shortly before the episodes aired, some of the cast and crew posted “old” photos and videos taken when filming the episodes back in August; e.g. 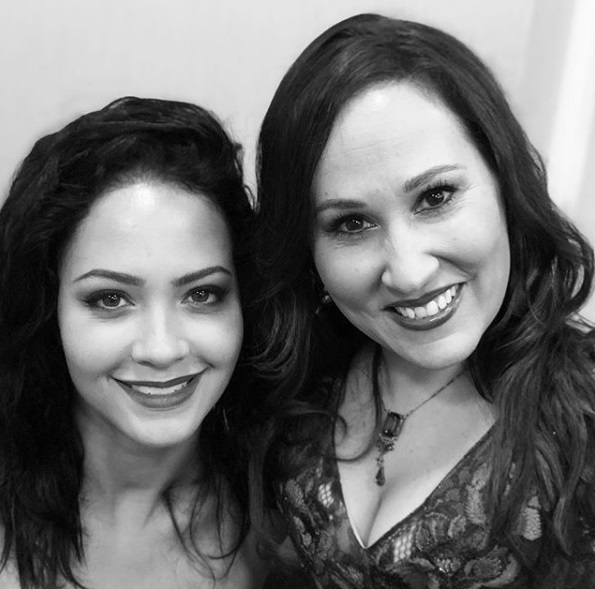 Tiffany Denise Hobbs (for 3×04) or Adela Tirado and Tucker Meek (both for 3×05). 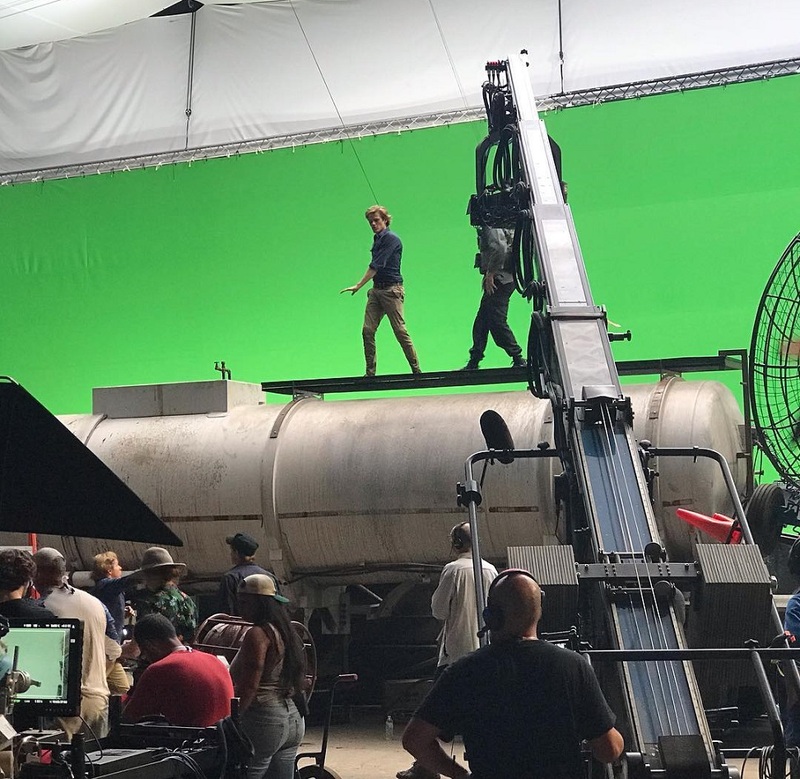 Matthew Albright posted a few BtS photos of the stunt scene on the truck of Episode 3×04. For both episodes, CBS didn’t release any Sneak Peeks. Fans felt cheated on, especially because Hawaii Five-0 got 4 Sneak Peeks for Episode 9×04 two weeks ago and 3 in total for 9×05 last week while Blue Bloods got 3 clips for each episode. Also, they took their sweet time to upload the clips from Episode 3×05 onto YouTube. Usually, they’re up just after the episode aired. This time, we had to wait until Tuesday. To recap: Episode 3×03 (Bozer + Booze + Back to School) had garned an audience of 6.155 milllion live-viewers and a demo of 0.8. In the +7 Days ratings, it added another 1.537 million viewers (+25%), reaching a total of 7.696 million viewers when including DVR. Episode 3×04 (Guts + Fuel + Hope) reached 6.008 million live-viewers and a demo 0.7 in the demo-group of 18-49-year-olds, so losing a bit in both audience and demo when compared to Episode 3×03. In the +7 Days ratings, it added 1.571 million viewers (+26%), reaching a total of 7.583 million viewers and a demo of 1.07 (+55%) when including DVR. Episode 3×05 (Dia de Muertos + Sicarios + Family) had tough competition; the World Series being on at the same time. While the demo-rating dropped to a 0.6, it still managed a live-viewers audience of 5.894 millions. In the +3 Days ratings, it added 1.26 million viewers (+21%), reaching a total of 7.157 million viewers and a demo of 0.94 (+47%) when including the DVR numbers available so far. While the demo ratings aren’t as good as CBS likes them, the Reboot still holds up pretty well against some of the other CBS action dramas; especially in audience numbers. 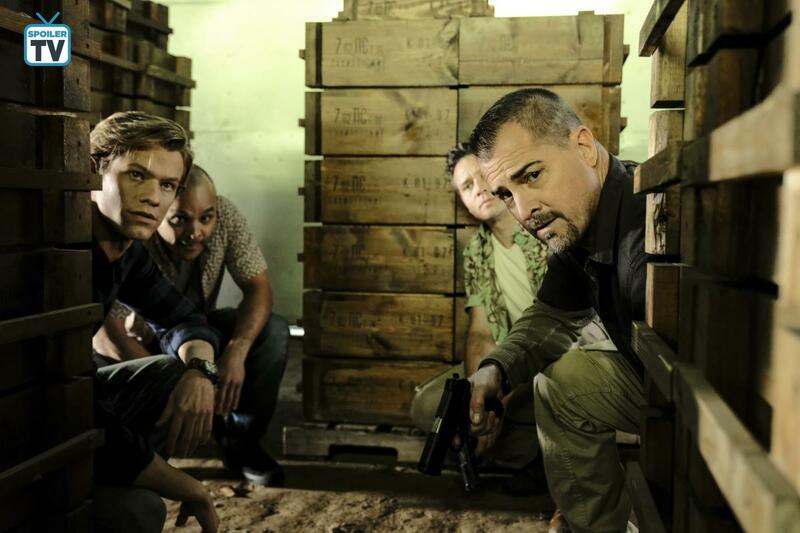 For comparison: Magnum PI is at 6.21 millions / 0.92 demo (Monday) after airing six episodes so far, SEAL Team at 5.32 / 0.82 (Wednesday, 5 episodes) and SWAT at 5.23 / 0.72 (Thursday, 5 episodes). 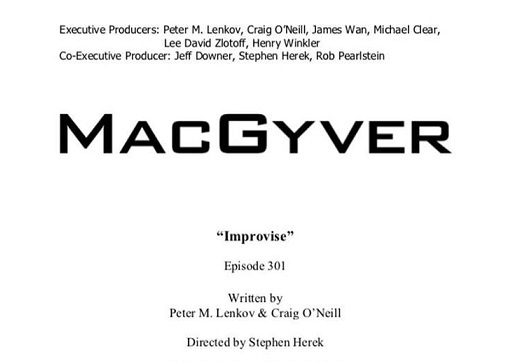 The episode airing tonight is titled “Murdoc + MacGyver + Murdoc”, directed by Stephen Herek. 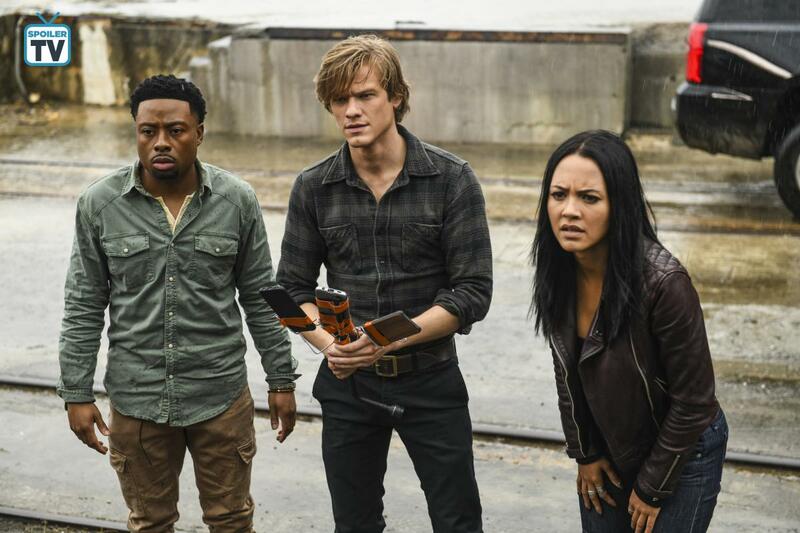 They released 13 Official Stills in total – all of them featuring MacGyver, Murdoc, Cassian and Sarah Sokolovic as Amber. 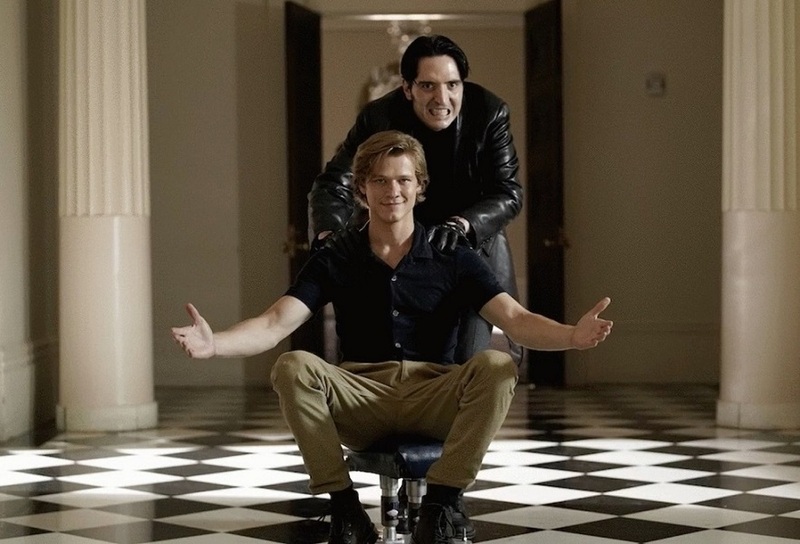 Yesterday, David Dastmalchian tweeted a funny GIF of Murdoc pushing MacGyver on an office chair. Again, no special promo by CBS as I’m typing up this blog post – contrary to Blue Bloods and Hawaii Five-0 that both got Sneak Peeks yesterday; H50 another exclusive clip via TV Line today. So far, Executive Producer and Showrunner Peter Lenkov stayed quiet as well. 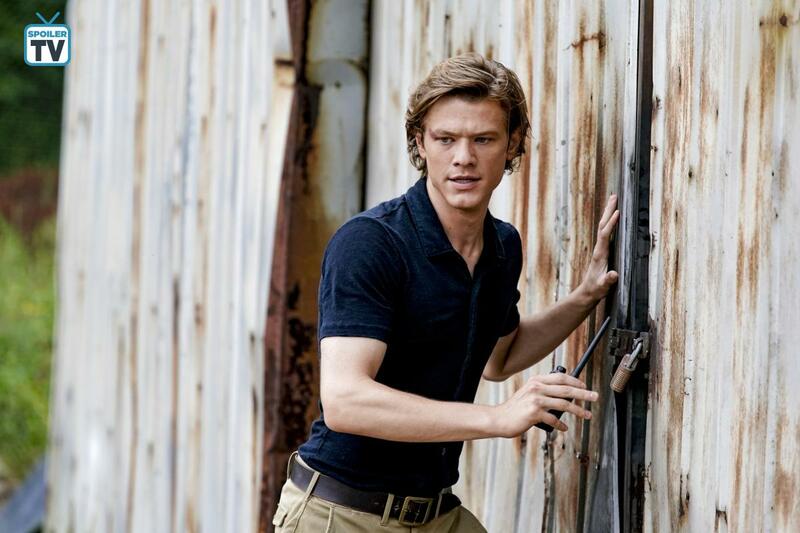 In fact, besides a re-post of Lucas Till, he hasn’t posted anything MacGyver-related on Instagram since October 5. Guest appearances by Joy Sunday and Ric Reitz. 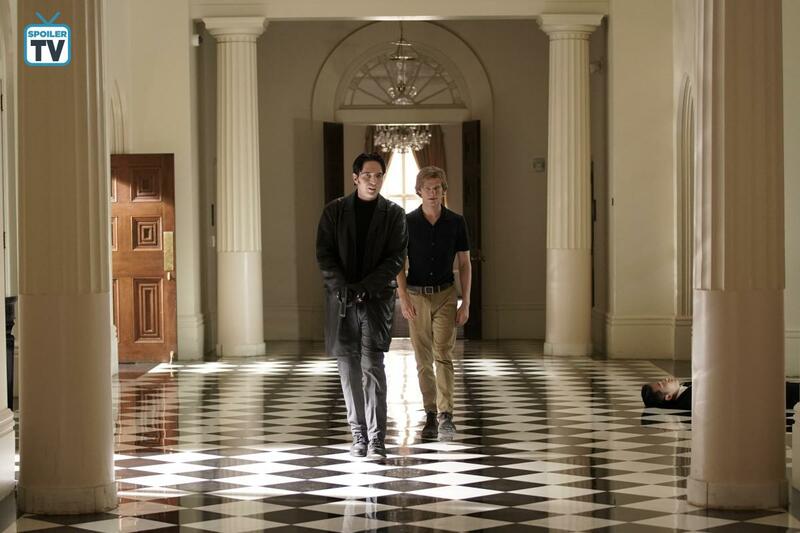 Check out the Official Stills and the Press Release here. Directed by Lily Mariye. Guest appearances by Holland Roden, Emerson Brooks (as Charlie Robinson) and Sean C. Michael (as the Ghost). Check out the Press Release here. Partially filmed in a prison location. Otherwise top secret, apparently. Directed by Carlos Bernard. Guest appearances by Shani Atias and Doug Savant. As predicted, there’s no episode on November 23 due to Thanksgiving and Black Friday. They will air Holiday Specials at 8pm, followed by an episode of Magnum and a rerun of Hawaii Five-0. 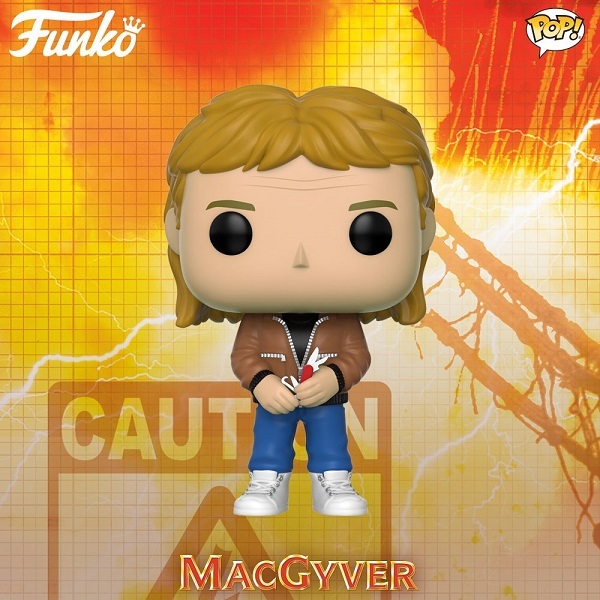 Initially, they have planned to air MacGyver reruns (we don’t know yet which episodes) on December 21 and 28. At the moment, the rerun on December 21 has been scrapped, along with the episode premiere on December 14. This means that Episode 3×11 – which was planned as the Christmas Episode being the Mid-season-Finale – will probably air AFTER Christmas (unless they can swap two episodes). Again, there were almost no BtS photos being uploaded in recent weeks. Cast and Crew rely mainly on temporary videos now – but every now and then, someone feels like teasing the fans a bit. 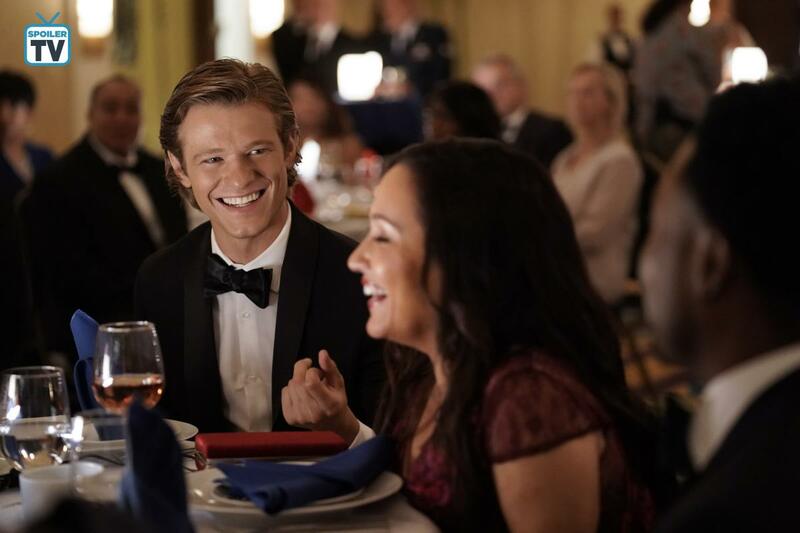 In recent weeks, they filmed an upscale event at a mansion and put Lucas Till in a Hazmat Suit. They also filmed in and around a pretty creepy prison set and decorated several streets to look like Christmas time; presumably for filming the Midseason Finale Episode. 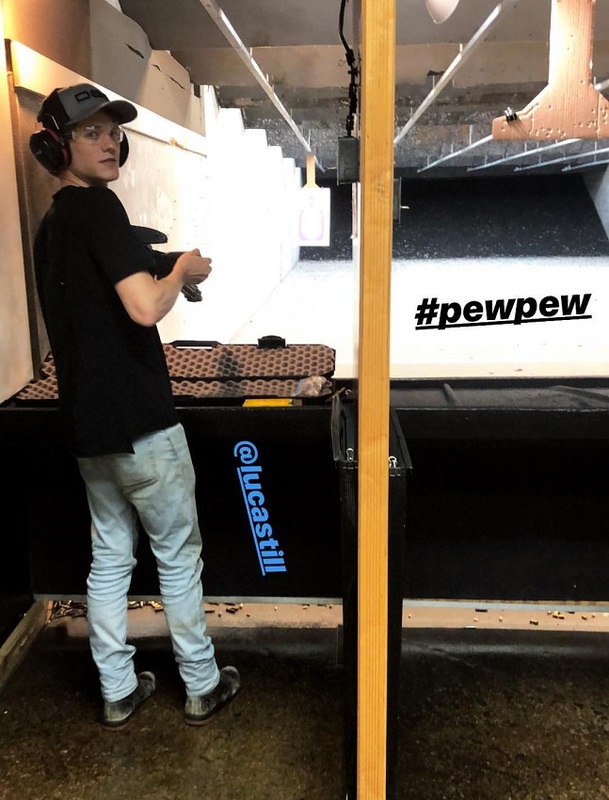 As Meredith Eaton revealed, Matty is taking out the big guns now. It’s not clear yet if she just wanted a photo of a prop gun or if Matty will be part of a storyline involving handling deadly weapons. 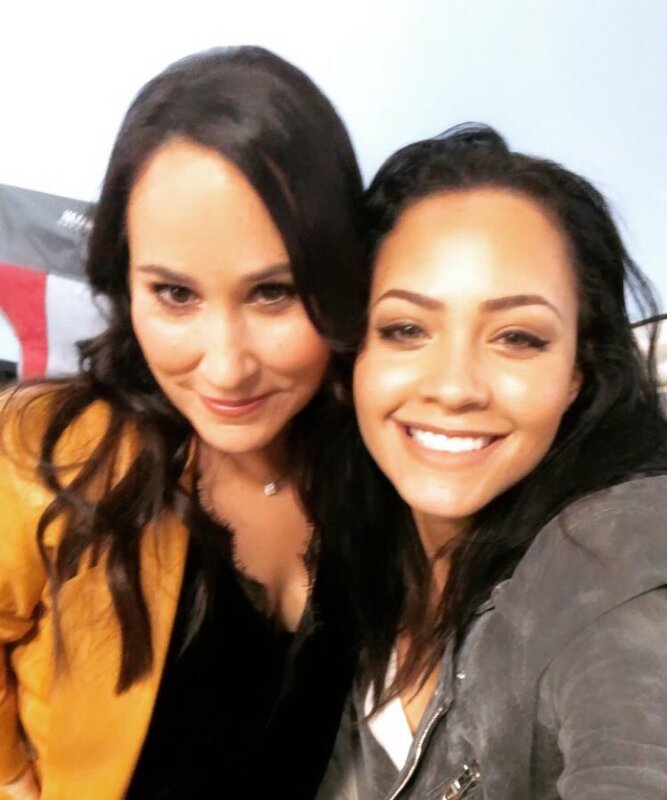 She looks a lot more friendly on the photo with Tristin Mays. Bozer will be wearing a tux again in an upcoming episode and seems to have taken part in a “planking competition“. 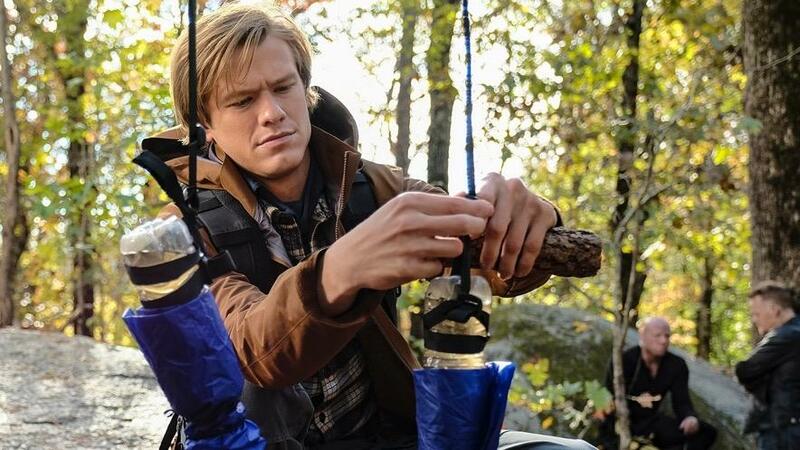 On October 26, Lucas Till uploaded a short story that has him looking as if MacGyver did get into a fist fight again. According to Steven Serna, they had filmed a car crash scene that day, so maybe Mac had been involved in that – it would fit the Instagram Story that Lucas had uploaded on Halloween; showing him with bruises while sitting in the car. There are (fake) glass splinters on his clothes and in the reflection, it looks like the side-window is smashed. The 2nd unit had to work on Saturday last week, while it seemed like the main cast had the day off. 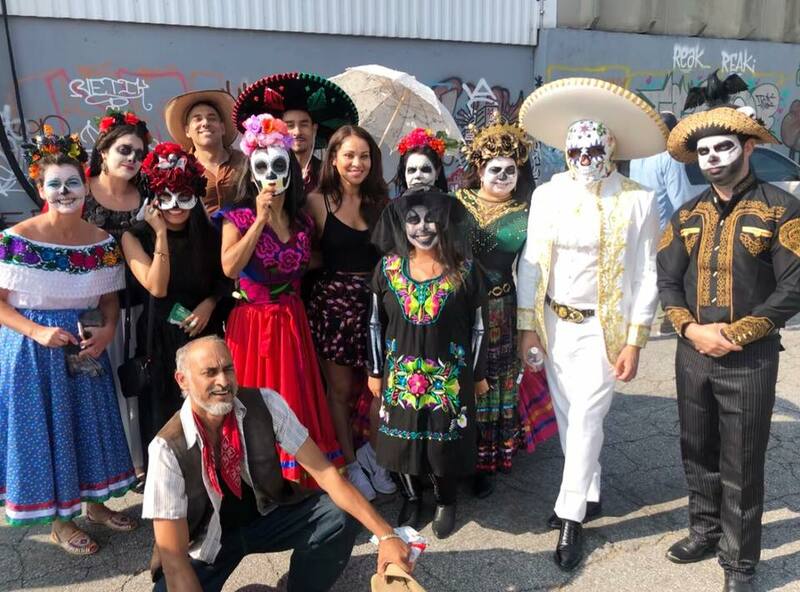 On October 30, the crew did the “dress like a co-worker” day again before fully embracing Halloween and showing up again in costume on the next day. 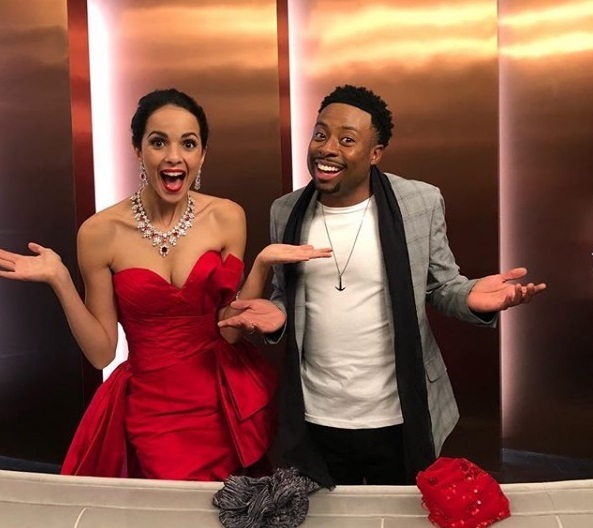 They filmed some sort of ballroom gala scene where Meredith Eaton got to dress up while Reign Edwards, Tristin Mays and Justin Hires were delegated to staff; serving food and drinks. Tristin and Reign later donned little black dresses while Justin looked like he was playing a designer. 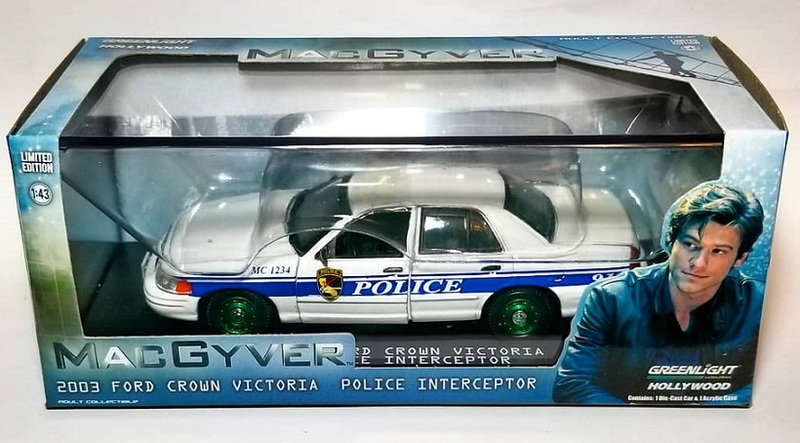 We can assume this will be another undercover mission. Interestingly, there were no sightings of Lucas Till or George Eads in the last 2 days. While having a grueling schedule, they also get nice surprises every now and then. 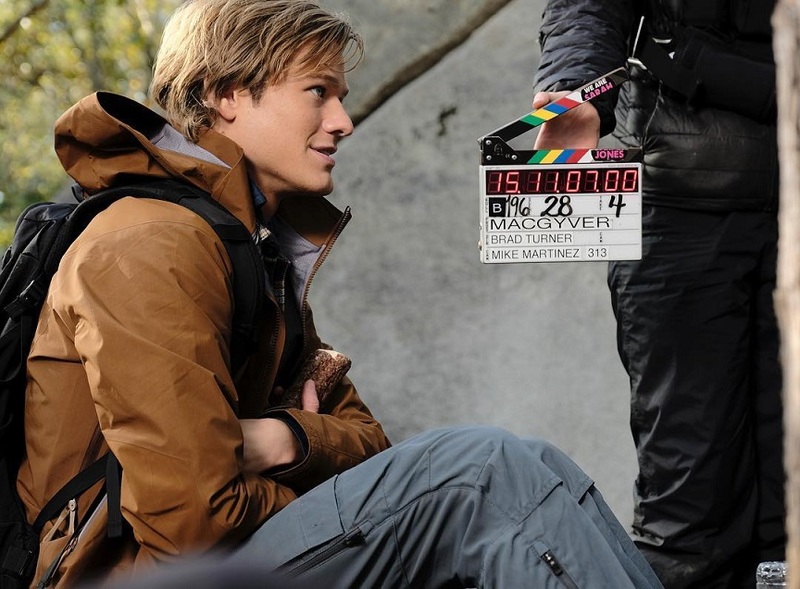 As Lucas Till revealed, one of the owners of a house location invited Cast and Crew to taste MacGyver cookies. A photo by Carlos Bernard, director of Episode 3×11, revealed Doug Savant and Seamus Patrick Dever as guest-stars. Central Casting Georgia had posted Casting Calls for Stand-Ins for Jimmy Gonzalez, for Shani Atias and for Sarah Al-Sherri. Additionally, they had Casting Calls for Photo Doubles and for Small European Cars. They’ve also been looking for Extras; e.g. for a Hispanic Priest, for Inmates, for male actors for a Make-Up-Test, a female Nurse, a male Tech, for Market and Café Patrons, a Ghana Guard, an Asian Guard, for more guards, a Middle Eastern male actor for a Photo Shoot, a man with lots of tattoos and for women for a Beatiful Entourage. 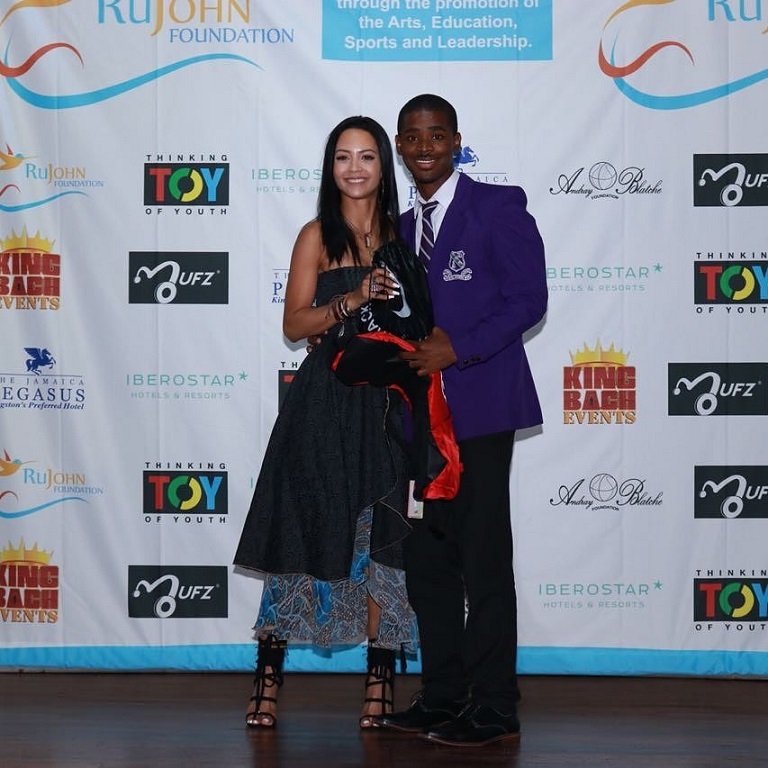 Tristin Mays is on the cover of the Fall Issue for NYSFE Magazine. There’s an interview and a photospread inside. You can order either the printed version or a digital copy on their website. 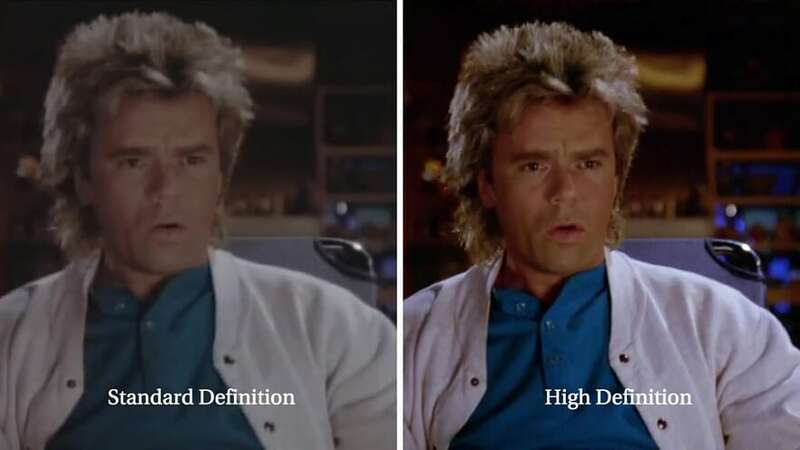 Season 1 of Original MacGyver was released on BluRay this Tuesday. Season 3 of the Reboot is being dubbed into French at the moment. As Gil Darnell revealed in an Instagram Story on Wednesday, he dubbed his own character in Episode 3×01.